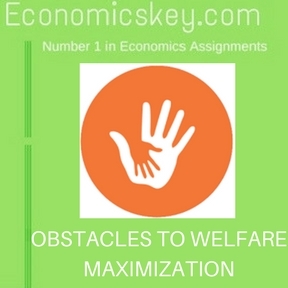 If maximum welfare is to be attained optimum allocation of factors of production is essential. 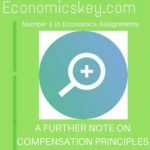 This allocation must he in keeping with the consumer’s preferences. 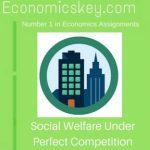 For this purpose there must prevail perfect competition But in the real world perfect competition docs not prevail instead there is imperfect competition This constitutes a big obstacle in the way of the attainment of maximum welfare. 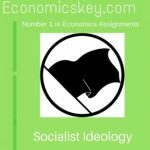 Imperfect competition may take the form of monopoly or monopolistic competition or oligopoly. 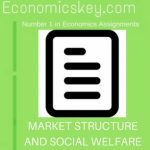 We hall see how these market forms stand in the way of welfare maximization.